At Beachcrest Brewing Co. our motto is Coastal. Community. Craft. We strive to capture the beauty and essence of what makes the central Oregon coast such an incredible place to live and visit. We’re focused on building and enriching our local community by creating a space for friends new and old to gather and by our commitment to giving back to local important causes. We believe in the artistry of hand-crafting great beer and the importance of creating and serving the freshest and most delicious brews. 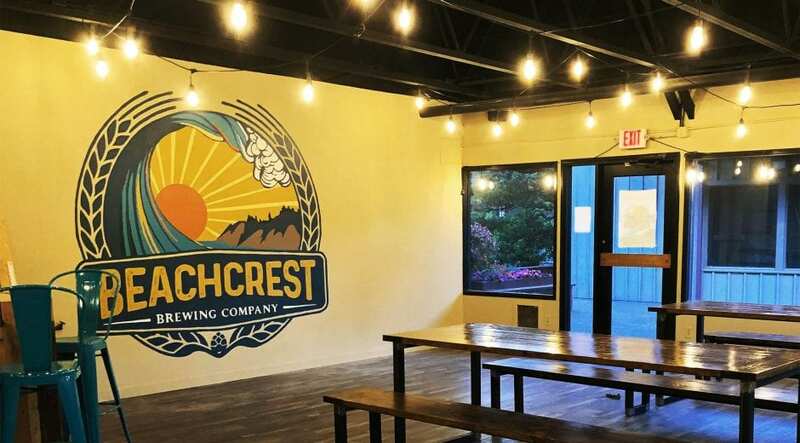 Located in the idyllic beachside town of Gleneden Beach in the shops at Salishan, Beachcrest Brewing Company is a family-friendly place to gather after a day of outdoor adventures to relax, connect and enjoy locally made and inspired beers. Many events take place at the brewery, including trivia night, live music, food carts and yoga & brews. Wednesday – Thursday, 2pm to 9pm; Friday, 2pm to 10pm; Saturday, noon to 10pm; Sunday, noon to 7pm.